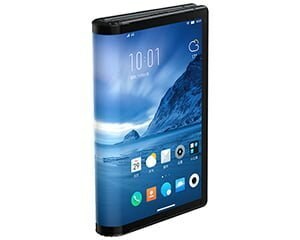 Royale FlexPai is the first smartphone with a fully flexible mobile screen. It is powered by an eight generation Qualcomm Snapdragon SoC clocked at 2.8 Ghz. There is an Adreno 640 GPU to support graphics performance. It comes with the option of 6 GB/8 GB RAM and 128 GB/256 GB/512 GB Internal Storage. It has the option to extend the memory by up to 256 GB by external SD card slot. For taking pictures, Royole FlexPai will be equipped with a 16 MP+20 MP dual rear camera and a 16 MP front camera. This smartphone is powered by a 3800 mAh and runs on Water OS (Based on Android 9.0) out of the box. Talking about other features, Royole FlexPai supports Bluetooth 5.1, GPS, A-GPS, BEIDOU, and VoLTE. Royale FlexPai has been released on U.S markets this month and is preparing for its release in EU regions. Talking about the cost, the 128 GB of FlexPai Developer Model is priced at $1590 for U.S. customers.